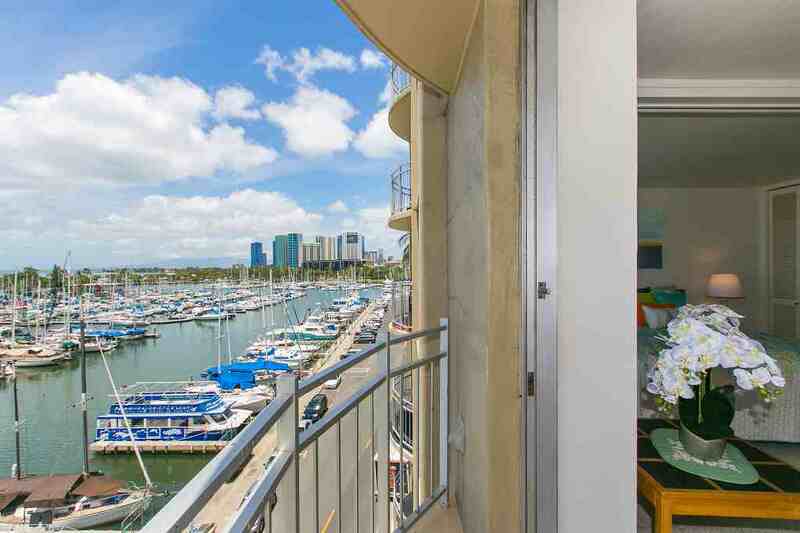 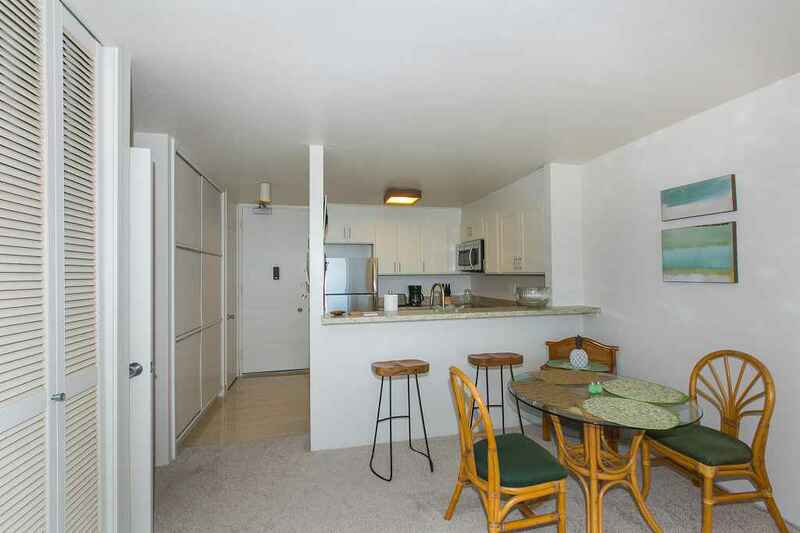 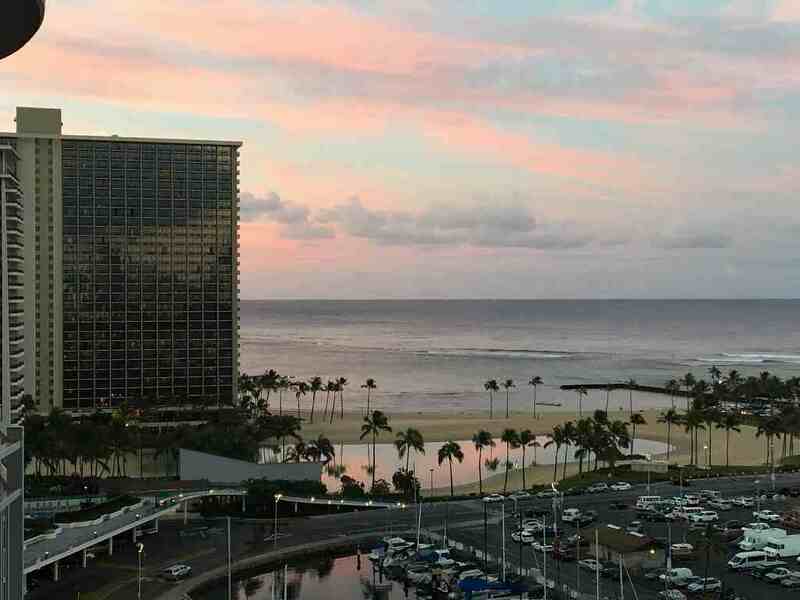 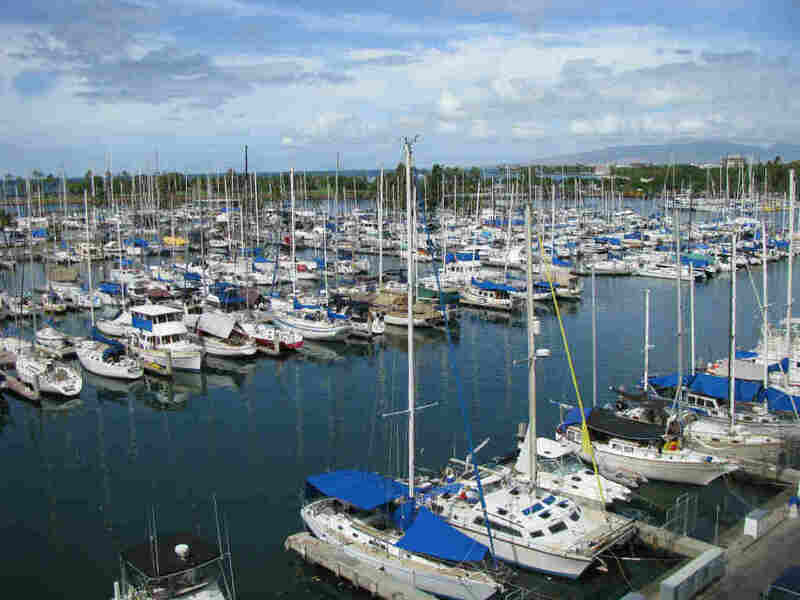 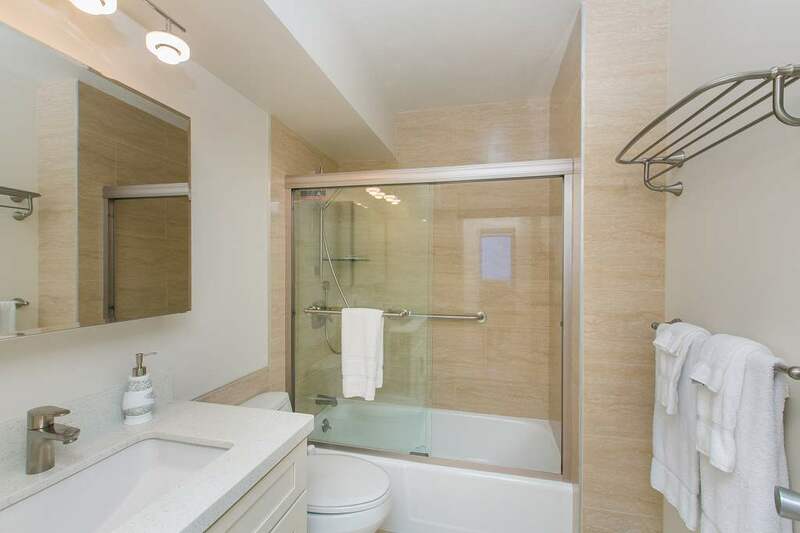 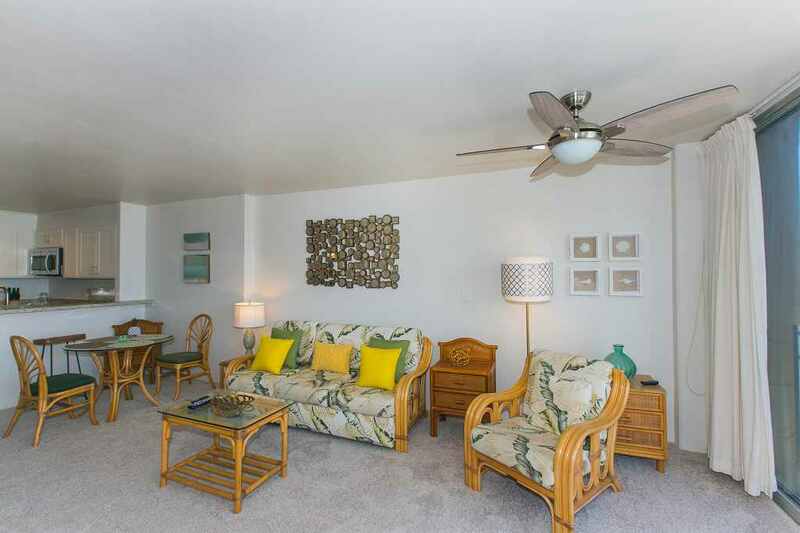 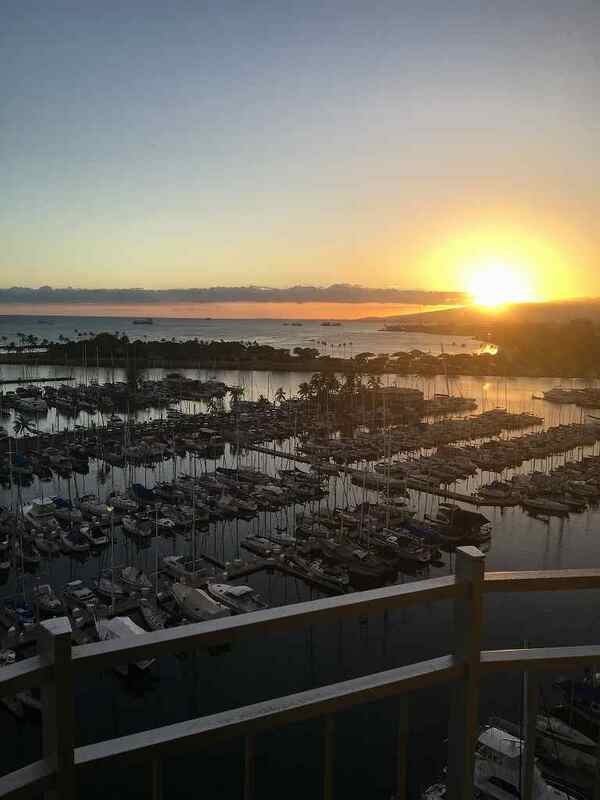 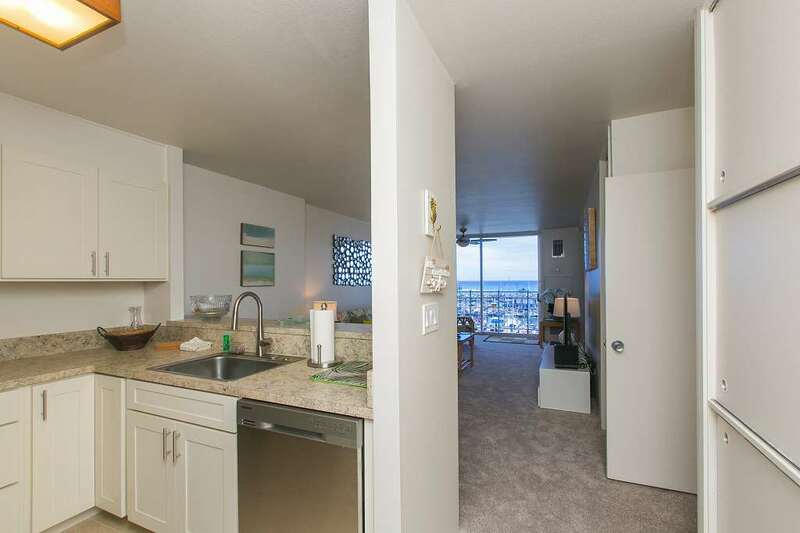 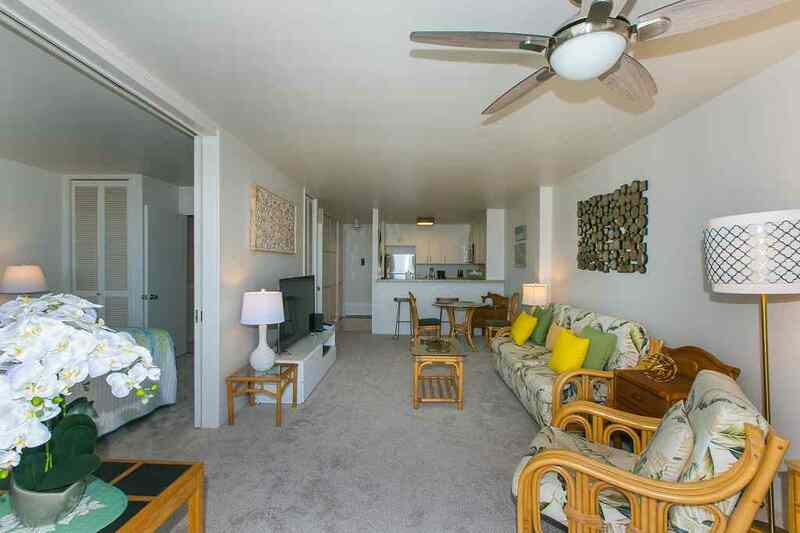 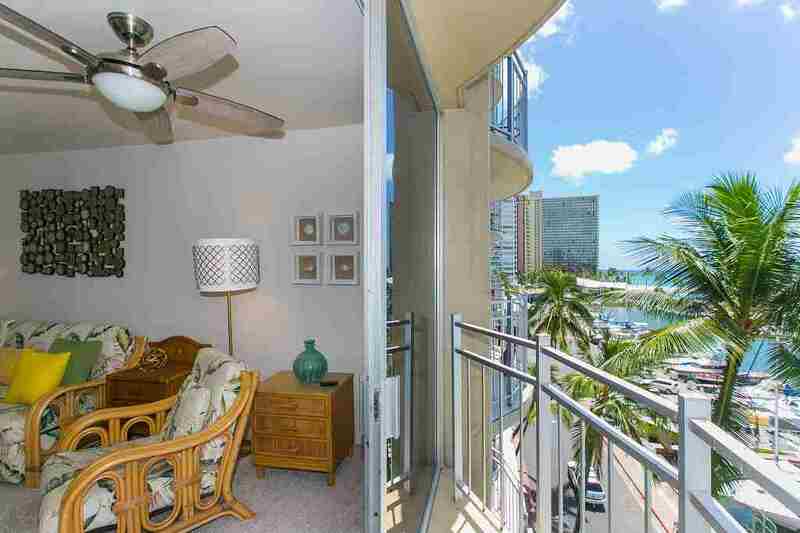 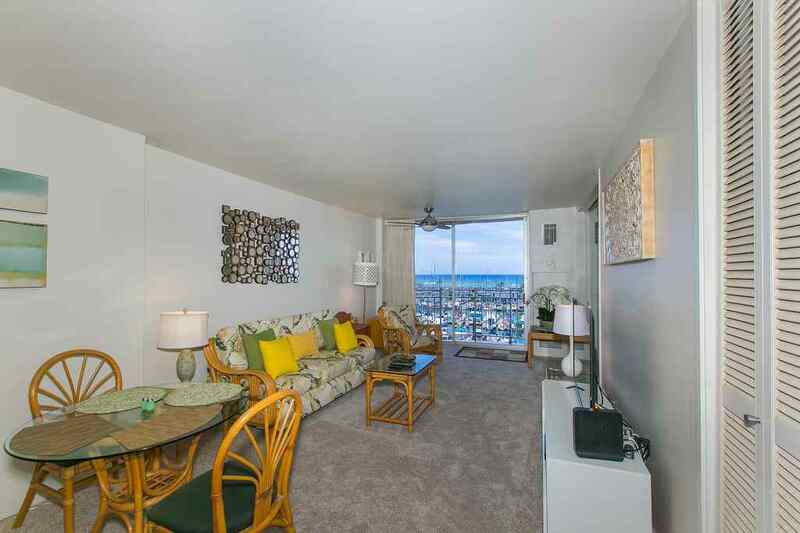 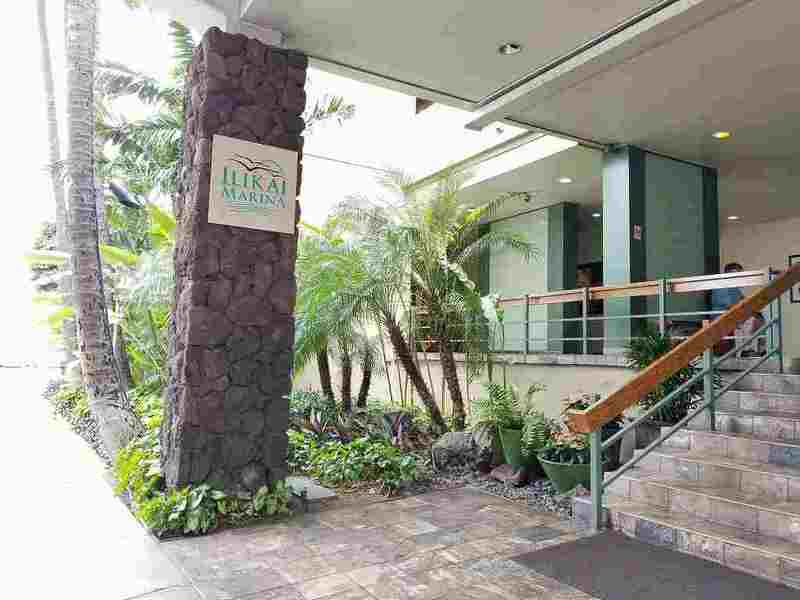 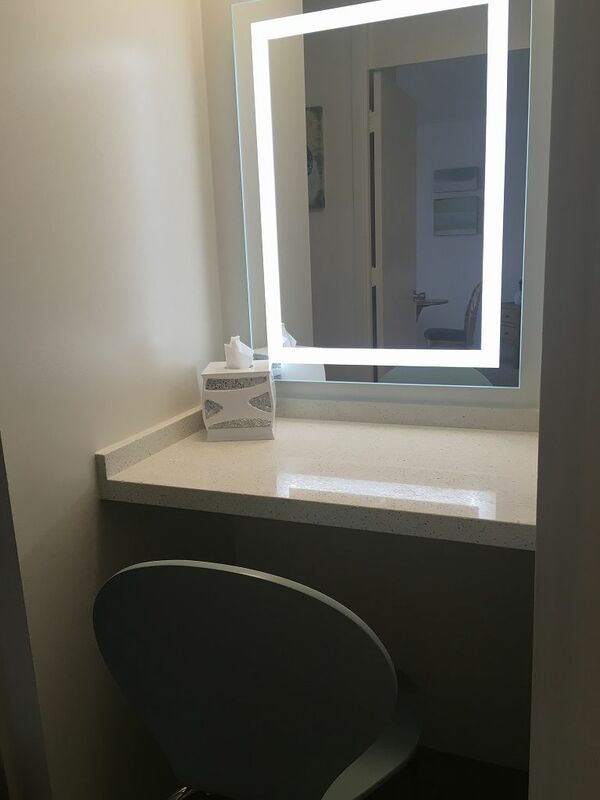 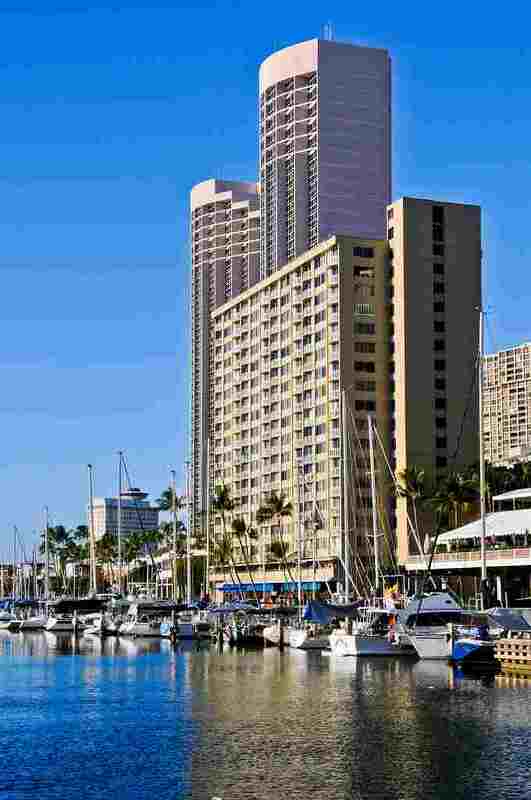 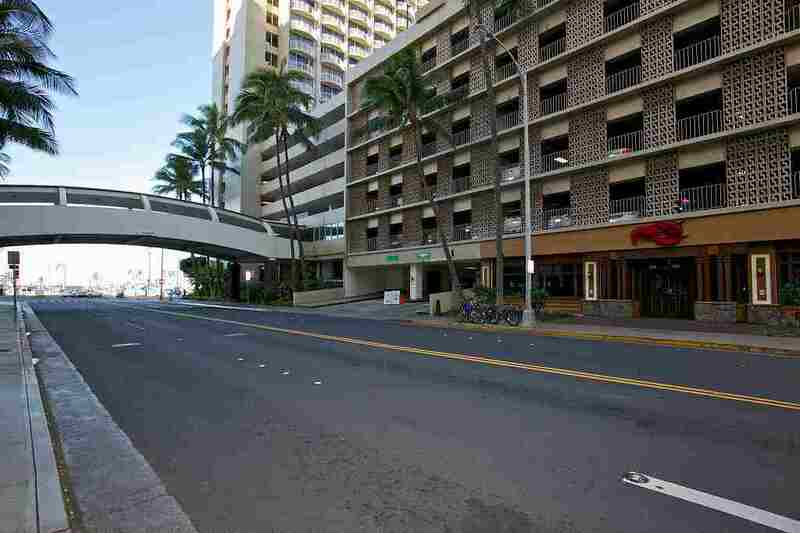 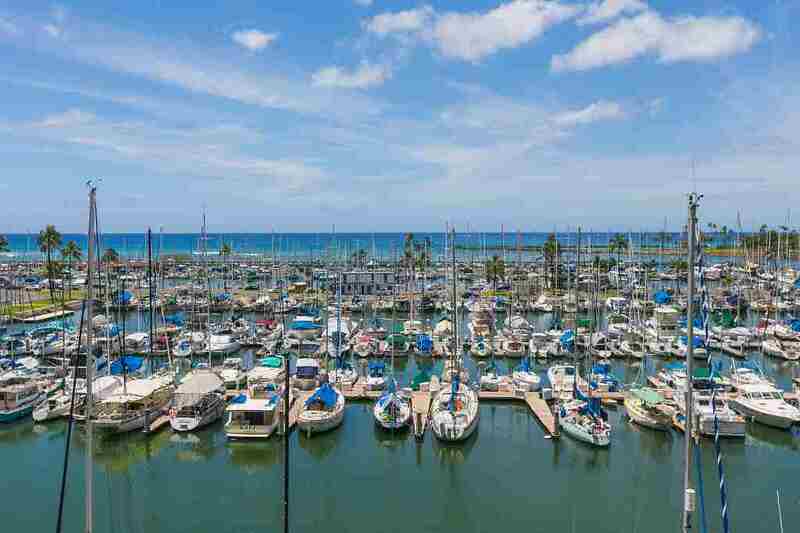 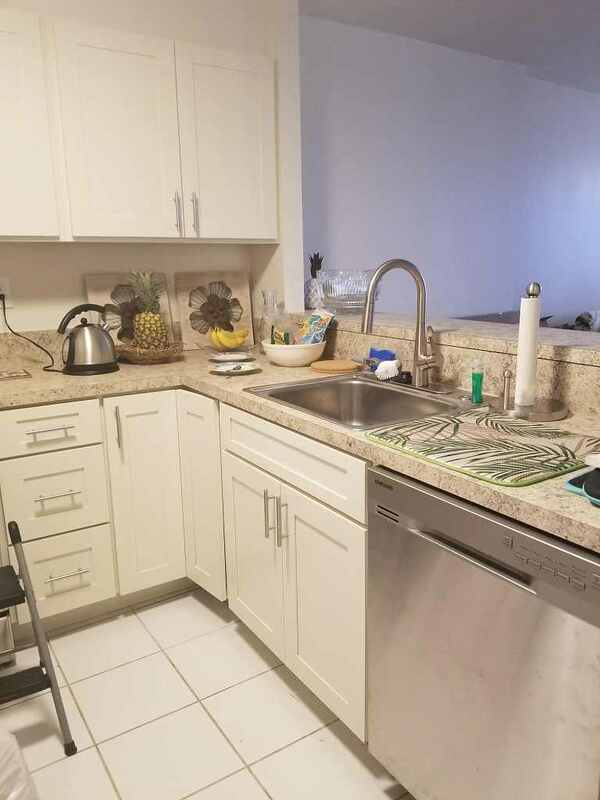 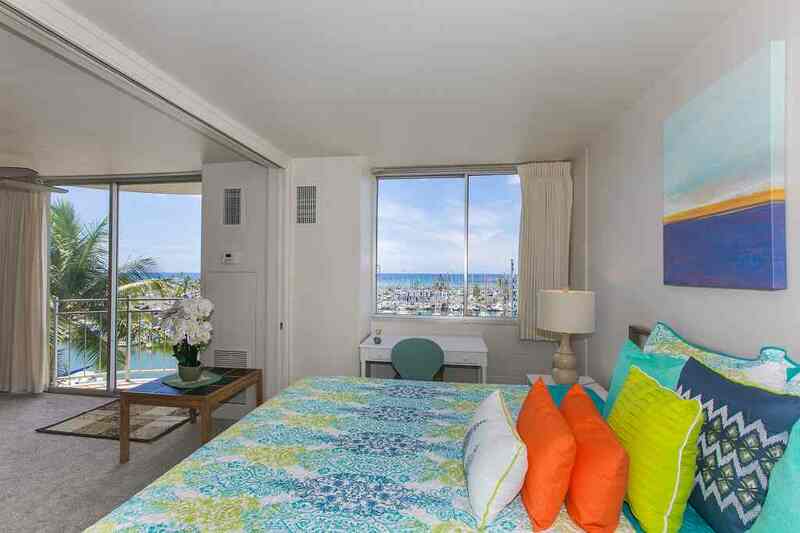 This updated condo is located with a beautiful view of the ocean overlooking the yacht harbor at the Ilikai Marina. 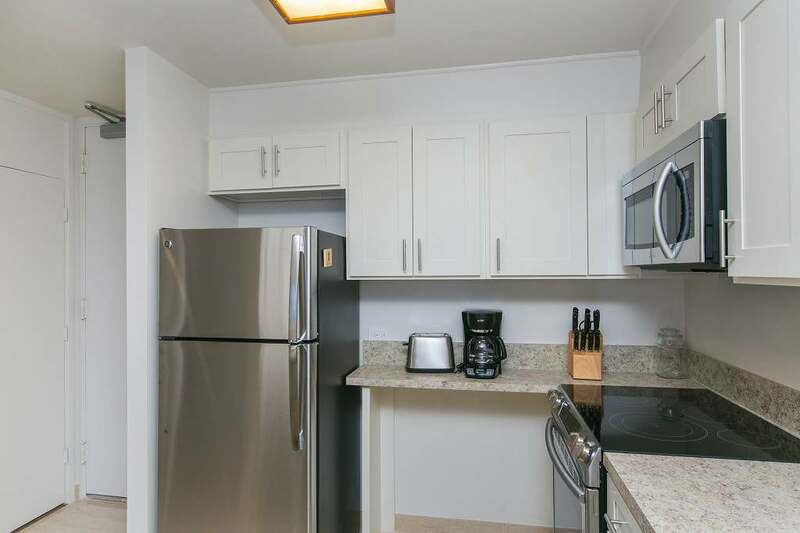 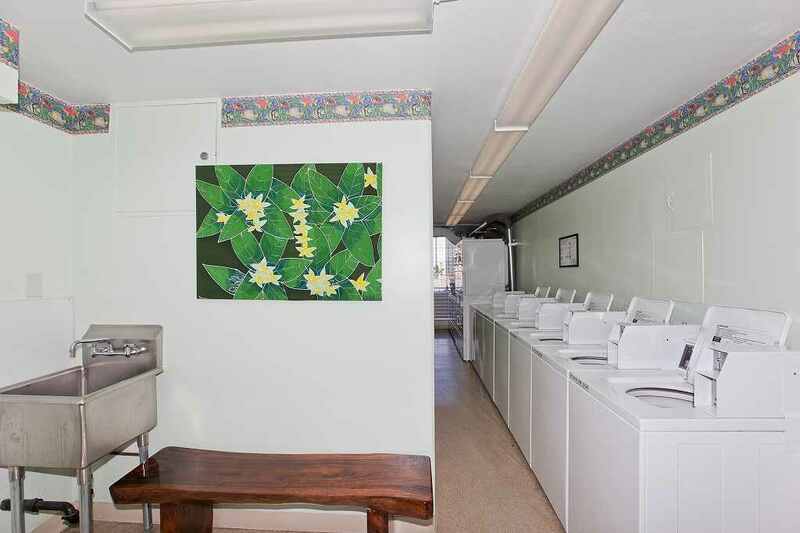 The kitchen has been updated with sleek tile & new chrome stove, microwave, silent dishwasher & refrigerator. 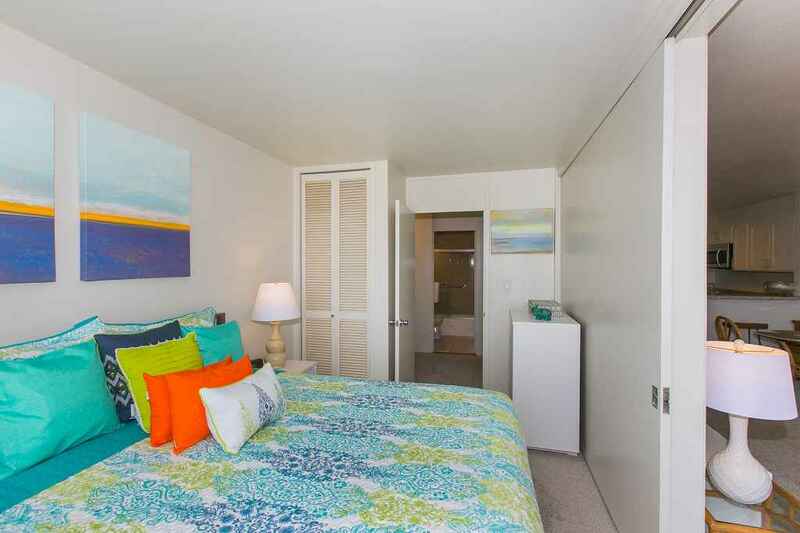 Brand new king size bed with 55" 4K smart TV!